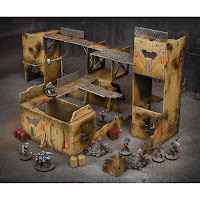 As you may know I am in the process of putting together the Gang Warzone Terrain Crate from Mantic Games (bought from Goblin Games) and have been documenting the process so far in part 1 here and part 2. This blog post is all about magnetising this scenery pack to make it truly modular. At the end there is a short video showing how the few pieces I have magnetised fit together and how strong they are - happy reading! Disclaimer - Later on I have included a few videos to show what I have done with the magnets as it's quite hard to explain in text and much easier to show instead - I accept no responsibility for the adverse effects of my voice on anyone's health. Apologies also for having to use Youtube, the file sizes of the videos were too big to upload to the blog. 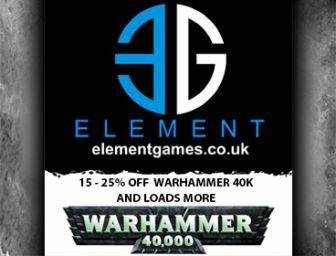 My vision was for a cheap, good looking set of industrial terrain to use for both Necromunda and Warhammer 40k. Also I wanted the terrain to be completely modular so that I could arrange it however I wanted individually for each game I play. If you have been following then you will know that the terrain is well priced and very well detailed for the price. I really like the 'boxy' look although I understand that some people may not like this look. It is fairly easy to paint with car paints from Halfords which also makes it cheap too. At the current moment the terrain is at a basic level of painting which would look fine for a game - I have sprayed the base colours on (part 2) for a weathered look and have now painted all of the silver parts in Leadbelcher which just needs washing with Nuln Oil. So now I am thinking about being able to fit the terrain together in a modular fashion whenever I like, however I like. Also for storage purposes this would be great as I could take it all apart and store it in a small box. 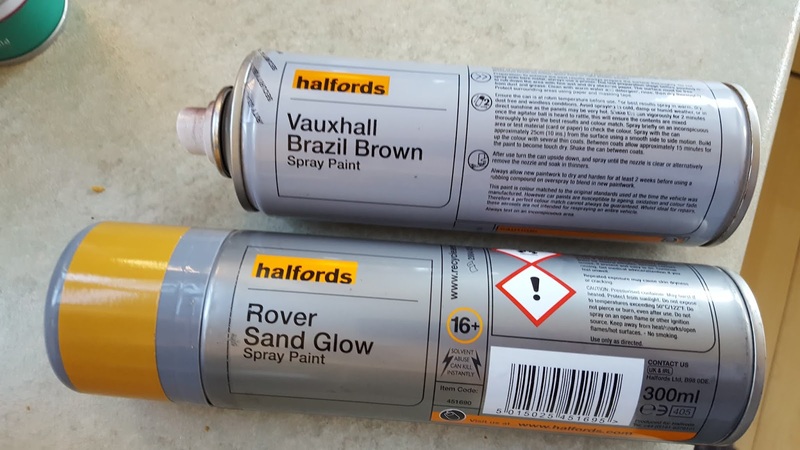 The Halfords car paint is really hard wearing and even though I have been knocking it around experimenting at no point have I chipped any paint off anywhere which is very impressive. 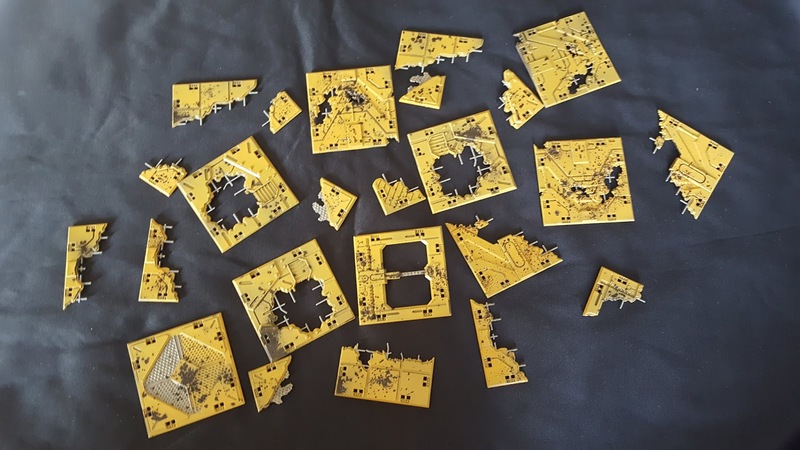 My original idea was that the connectors would push fit into the set holes in the terrain pieces and pull out each time I assembled and disassembled the terrain without using glue. Unfortunately this hasn't proven to be the case as it is quite hard to push the connectors into the holes in the terrain and then get them out again easily. I fact on two occasions the connectors have snapped off in the holes. This has ruined my original plan and I was quite disappointed until someone on Reddit suggested magnets!!! 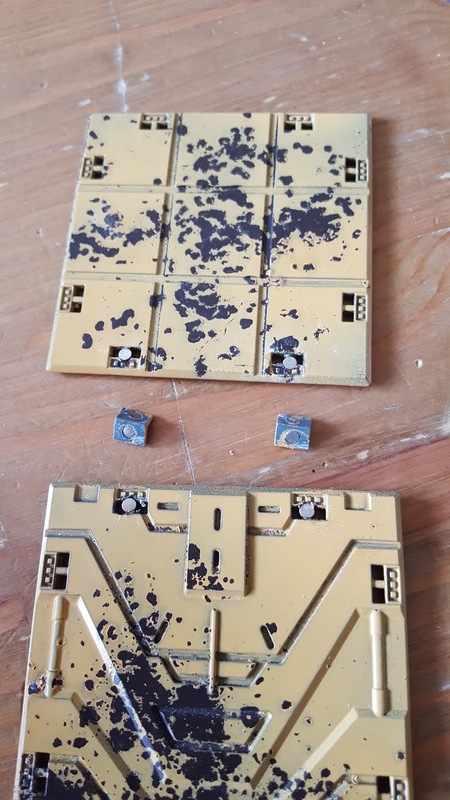 I already had some small circular magnets from the Leman Russes in my Astra Militarum army so I thought I would have a little experiment with them before committing to buying any more online. I worked out where I needed to drill out the holes to glue them in and set to work. The results were good although it took a while to work out the polarity needed!! The terrain pieces fit together well and were just sturdy enough to use in a game. The main issue I had with this was that it took a loooong time to make the holes and it was really difficult to drill the holes in the correct place in the terrain pieces as the drill bit kept slipping off of the central lie and moving off centre. Also it was very difficult to glue a circular magnet into the exact place needed. After this I was still disappointed as this was NOT the solution. However God loves a trier and I am not one to give up on a good idea so I measured the rectangular holes in the terrain which came out at 7mm x 2.5mm x 2.5mm and thought that if I could just find a set of rectangular magnets that size I could just drop a dab of glue in the hole after cutting the rod out and slide the magnet in - quick and easy! - Also this would be a larger magnet which would make the terrain more sturdy too. 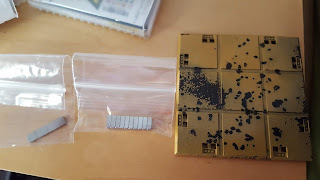 As for the connectors I had a look at how they fit and found that if I clipped the protruding part of the connector off and ordered a really thin magnet to fit on the connector face it would be really simple to just glue on and would fit nicely in the terrain hole. 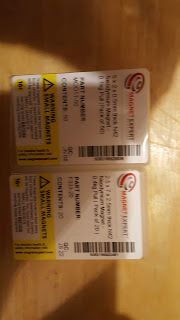 A long week later and my order from First 4 magnets arrived (no affiliation with these guys, just thought that the magnets were excellent and delivery times were as advertised so always willing to plug a good company!) and I set to work. The block rectangular magnets were £4.12 for a pack of 20 (this price will really up the cost of the terrain if I am going to magnetise everything as I will need a lot more than this - I will let you know the entire cost of the terrain towards the end of this series as I finish it) and the flat rectangular magnets (5mm x 2mm x 0.5mm) were £6.23 for a pack of 50. Using these magnets was super easy as predicted. I just has to clip out the middle rod in the holes in the terrain and file it flat before dabbing a tiny bit of glue in and sliding the magnet in. It was also very quick with the connectors themselves - just clip off the connector protusion and dab some glue on before laying the flat magnet into place. - For the walls of the terrain I have positioned all of the magnets the same way round - positive on one side and negative on the other. - For the corner connectors one flat magnet needs to be negative side down and the other needs to be positive side down - so opposites. Also the magnets are strong so be aware that they will try to move when glueing them in place! - For the straight connectors again I glued them the same each side so either negative or positive down. I am guessing a mix of each will be the best case for different terrain builds (?). So this is where I am at at the current time. I am in the process of ordering more magnets and will get back to the blog when I have made some more progress. Below is another video showing how the magnets hold the scenery together and what it looks like. Thanks for reading and, of course, if you have any comments or help please get in touch!